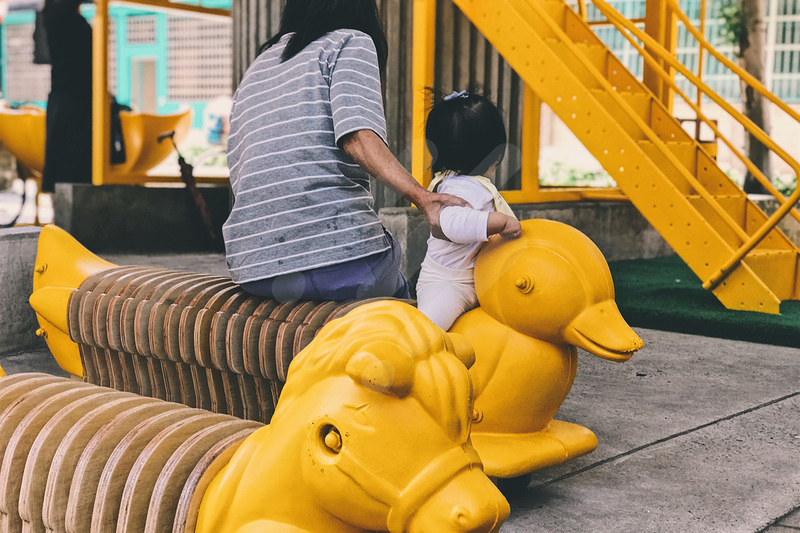 “By upgrading and transforming the objects retired from parks, we subvert stereotypes about playground equipment and integrate the idea of daily living into outdoor spaces by extending familiar indoor spaces to unfamiliar outdoor spaces on the surface of the city. 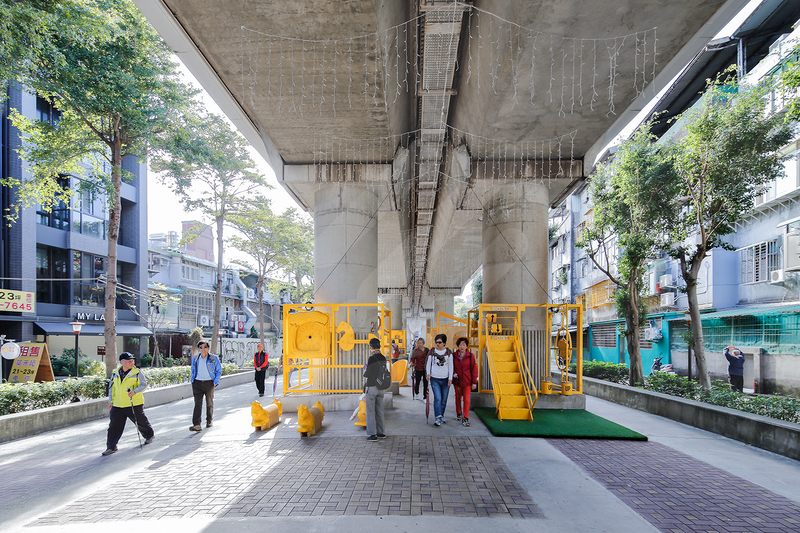 We connect the public places and light up the once bleak corridors of piers underneath elevated railway bridges. Efficiency is what drives the lives of urbanites. 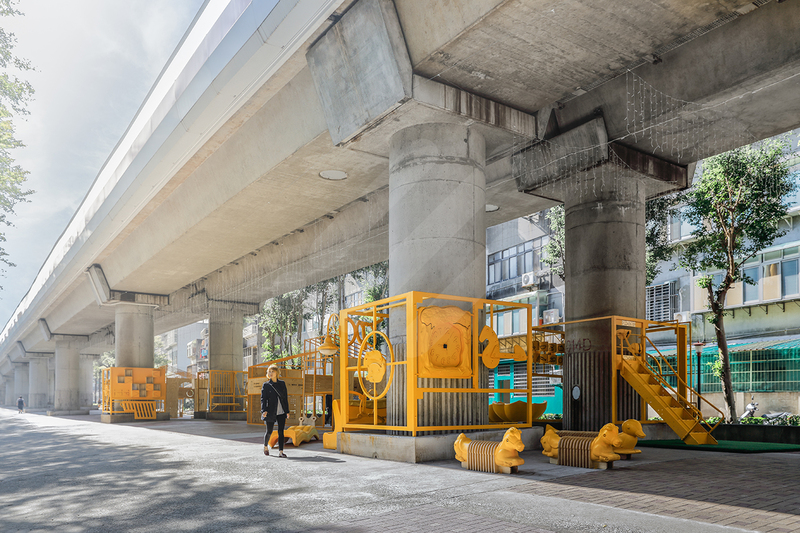 The convenient metro system allows people to travel to every corner of the city, but under the elevated tracks, linear corridors often lie idling. 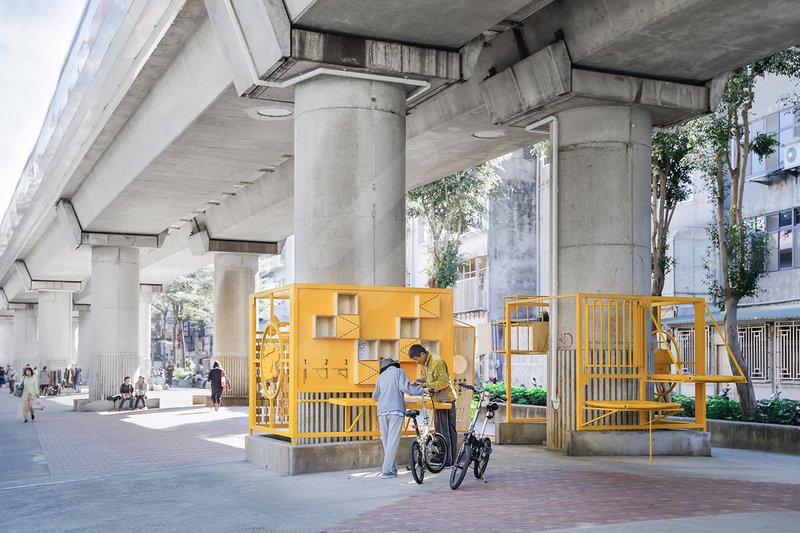 Snaking through residential and commercial communities, the corridors underneath the railways are sandwiched between the houses and shops along the streets. 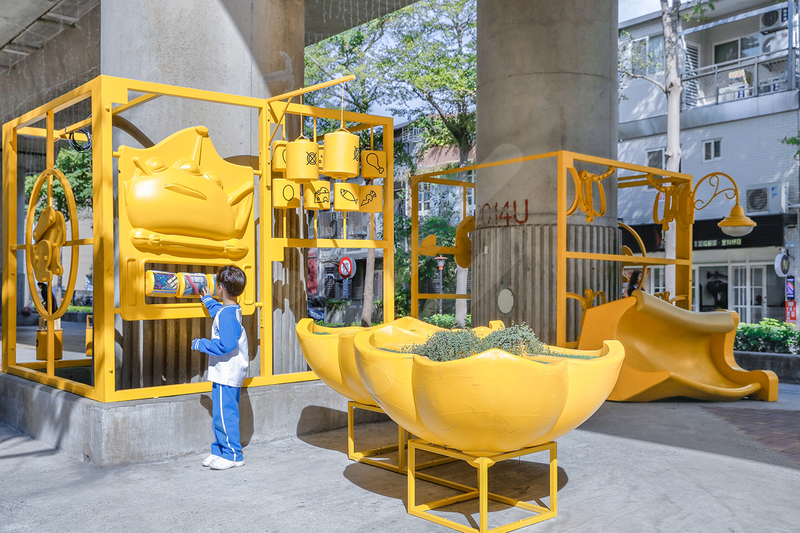 With the “XYZ Play-ing - Roamable Home” project, the Seedspacelab has refreshed unused spaces by reassembling and rearranging dismantled retired park equipment from different neighborhoods in the city. 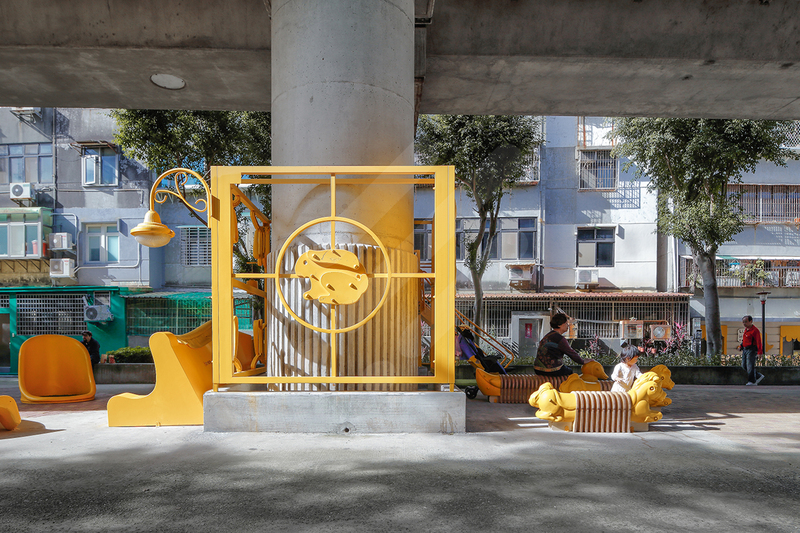 The park equipment invokes “themes of home” next to the bridge piers –transforming the spaces into foyers, balconies, storage spaces, work rooms, dining rooms, living rooms, gyms, and backyards, connecting the four piers under the railway bridge by recreating various indoor scenes. 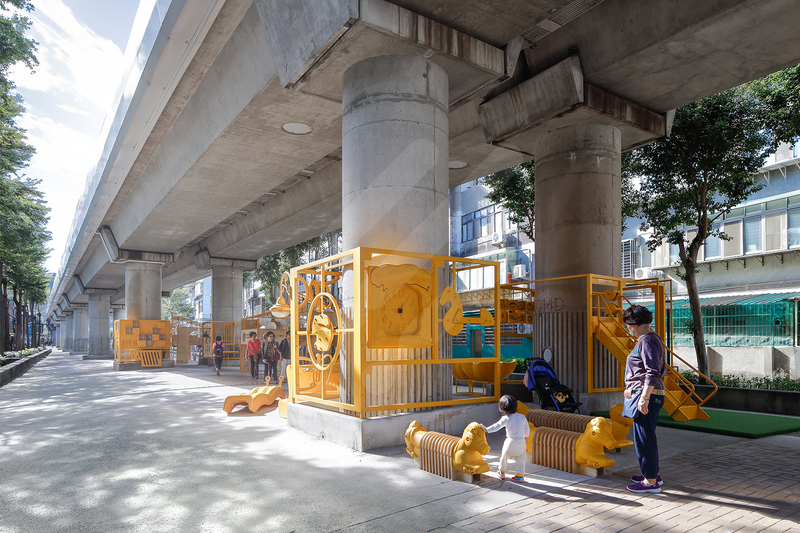 Coming back to the city with a new look, the street furniture reassembled by the park equipment waste not only attracts the neighbors and passersby to visit, but also serves as a market place on weekends and holidays that neatly integrates the lives of people with their surroundings, making this linear space a junction of the local activity. 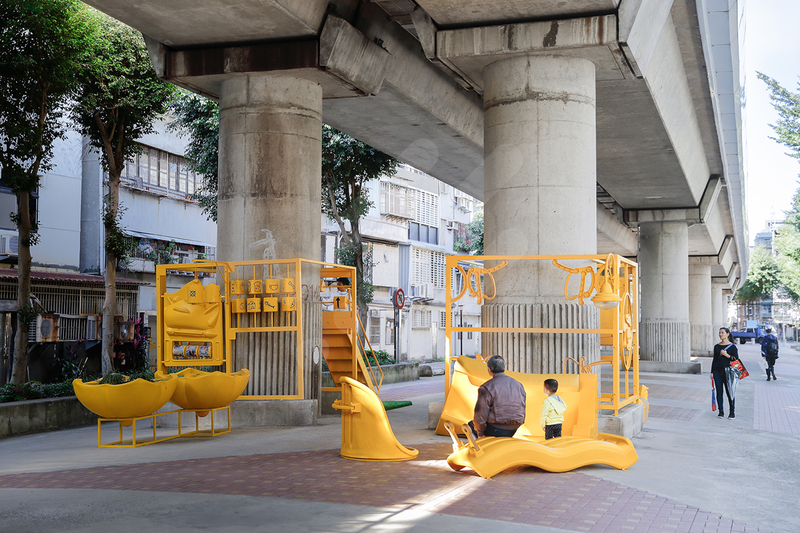 By flipping the space under the metro bridge, this homage toward home makes the space more than a passage – it becomes a linear venue where people stay, interact, and experience together in place where shared memories are made.